ROGER FRY AND his committee have earned the gratitude of all painters, students, and lovers of art in this country by the illuminating and interesting collection they have formed at the Grafton Gallery. That they have entitled it “Manet and the Post-Impressionists” is a detail of advertisement. Only those who have never had to decide on what I may call poster-editing will quarrel very seriously with him on this score. That he has included in a collection of many great works a few nonsense-canvases and a few nonsense-bronzes, leaves me undisturbed. None of us, not straight out of the egg, take the leaders or the “tendencious” arrangements of news in the daily papers seriously. This does not prevent almost any copy of any daily paper from containing enough of mere news to guide us sufficiently towards the judgments we desire. Perhaps the very nonsense element in this exhibition, and in the claims gravely put forward for it with some ingenuity of undergraduate ratiocination, has its utility. It has caused a rumpus. The rumpus has collected a crowd, and the crowd is quite ready to listen to reason and to learn. Who knows whether, without the rumpus in question, and the consequent crowd, I should at present have the honour of addressing a cultivated audience of my countrymen again on the subject nearest my heart? Monsieur Matisse obligingly parades before the Grafton Street booth with a string of property sausages trailing from the pocket of his baggy trousers. John Bull and his lady, who love a joke, walk up, and learn a few things, some of which have been known in Europe for a decade, and some for a quarter of a century. We are citizens, and nothing is gained by denying it, of a country where painting forms no living part of national life. Painting here is kept alive, a dim little flickering flame, by tiny groups of devoted fanatics mostly under the age of thirty. The national taste either breaks these fanatics, or compels the to toe the line. The young English painter, who loves his art, ends by major force, in producing the chocolate-box in demand. Marnin Young: Roger Fry, Walter Sickert and Post-Impressionism at the Grafton Galleries. 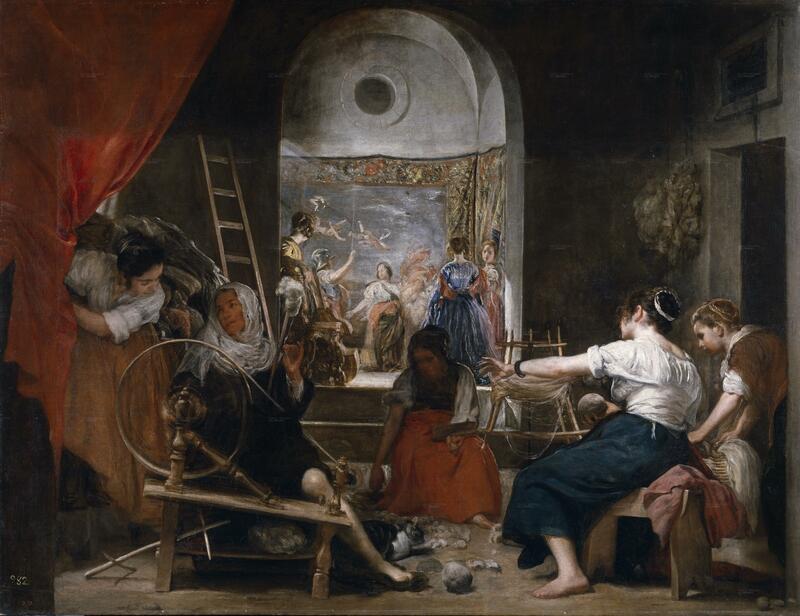 I have never indulged in gibes, and I never will, at the popular academician and his annual “Picture of the Year.” I had occasion the other day to see a spirited and intelligent copy of The Weavers of Velasquez. Guessing here and there as to the authorship among the possible men whose work I respect, I was told at last that it was by Edwin Long, the author of the works we know. No example could be more striking and complete. Successful shade, accept my hand in fraternal contrition! We are druv’ to it. John Bull will have it so. Tu l’as voulu John Dandin! And his lady still more! Let us toe the line, my brothers, and invest with care. Londres vaut bien une messe. What is it I say has been known in Europe for a decade or for a quarter of a century? Manet, to begin with, and the strange importance of Cézanne, partly intrinsic, and partly relative. The Salon d’Autonme of some years ago revealed to the stupefied admiration of the world the life-work of Gauguin. Van Gogh we appraised in the early ‘eighties. M. Blanche, in a letter to the Morning Post, thinks it of critical relevance to emphasis the theory that Van Gogh was a Jew, and, what appears to make the matter worse in the eyes of my brilliant and talented friend, an apparently intolerable aggravation, a Jew from Holland at that! Truly it is difficult for the fashionable portrait painter to be a just critic! A lifetime spent in tête-à-tête with the femme du monde, his customer, cannot but tinge his views of life and art. Mr. Ross struck in the Morning Post, with no uncertain trumpet, the protectionist note of this exhibition. Mr. Ricketts, I suspect, is merely naughty and knows better, a delightful and witty advocatus angelorum. I said to myself, “We shall have Sir William Richmond and Sir Philip Burne-Jones.” “Pan!” as they say in France, “ça y était.” “There remains now,” I said to myself, “only the regularly recurring Mr. Wake Cook. “Tac!” which I must explain is the Venetian for “Pan!” I have lived so much abroad. Mr. Fry is nothing if not an educationist and an impressario. Mr. Fry is nothing if not an educationist and an impressario. I offer him the following scheme for consideration. Before the end of the exhibition now open at the Grafton, let him bare one of the best walls, and hang, in their order as correspondents, works by Mr. Ricketts, Sir William, Sir Philip, Mr. Wake Cook, and M. Jacques Blanche. If this arrangement will make it appear puzzling that Mr. Ricketts, brilliant and spoilt child of Delacroix and Daumier as he is, should be so anti-Gallic, the other antipathies will, perhaps, seem natural, and the paintings will constitute a useful and complementary appendix to the letters in the Morning Post. 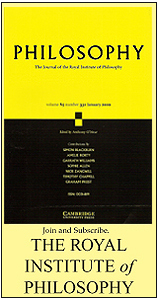 Mr. Fry, and the writer of the preface to the Grafton Galleries catalogue, and later, Mr. Lewis Hind, in the English Review, with the freedom that belongs to literature, affect to take Monsieur Matisse and Matissism in bronze and in paint seriously.1 I gather that Mr. Berenson has done the same. In my younger and less composite days, before I had soiled my fingers with ink, I remember how those of us who were purely painters were shocked at the levity and irresponsibility of most writers’ steps on the flower-beds that to us are sacred. I remember, with another earnest inquirer, a painter of talent, addressing to a brilliant novelist and critic d’avant garde, some question like the following: “But do you really think so-and-so?” “I don’t know that I do, but I thought that that point of view would make rather a nice article.” Naïf children on the palette, my friend and I had forgotten that his article was his picture, and that he had the same right, on paper, of distortion, of deformation of fact, as we claim on canvas. If a critic did not arrange and touch-up, underline and suppress, as it suits his prose, the subject in hand, it would make dull reading. A critical pontiff, who dines out for Art with a capital A, must prime the bomb of paradox he has prepared for the dowager he takes in to dinner with fairly strong, and above all, unexpected stuff, or it will miss fire. M. Blanche says that M. Matisse should be grateful to Mr. Fry for essaying to transplant a carnival reputation on to English soil. The obligation is all the other way. Art stuff is devilish dull copy. M. Matisse was sent by a merciful providence to enable us poor critics, gravelled for lack of matter, by gravely professing admiration for patent nonsense, to épater more successfully than we could by discovering a new Rembrandt. NOTE: In The Fortnightly’s online template, illustrations are thumbnails with captions embedded. To enlarge an illustration, click on it. To read a caption, hover over the illustration. I am, unfortunately, debarred from the piquant satisfaction of making these effects. Several times a week I have to face a critical audience of some fifty-odd students, who look to me for guidance over a field that extends from the elements of drawing, to the finest and most debatable points in style and execution. I have to send them to the museums to look at Rowlandson and Leech and Cruikshank, at Keene and Beltraffio, at Ingres and Millet and Degas, while suggesting that, for the present, they might do worse than avert their eyes from the too numerous reproductions of drawings by Alfred Stevens, with which there is just now a fashion to over-nourish our academic walls. These counsels of mine I have to back up with comprehensible reasons, or I should hear of it. We are to suppose then, that one of my students, a young man who is making considerable sacrifices to work as many hours a day as he can at drawing, asks me, “What about Matisse and Picasso?” say. I cannot pull his leg, as a diner-out for Art would a dowager’s, nor can I reply in a bright article without serious consequences, as Mr. Hind or Mr. Berenson might. Matisse has all the worst art-school tricks. Just a dashing hint of anatomy is obtruded; and you will find a line separating the light from the shade. I should be obliged to say, “If you will look at M. Matisse’s drawings, you will see that he has acquired the most fluent school-facility, just the kind of school-facility that you do not find in good drawings. The great artist is humbler, and a shad clumsier, un tantinet plus gauche. Matisse has all the worst art-school tricks. Just a dashing hint of anatomy is obtruded; and you will find a line separating the light from the shade. You know what we think of that trick. The instinct of self-preservation, conscious or unconscious, must have dictated to him that this slickness of empty perfection, of a poor order, world never make its mark. So we have wilful deformations, wilful distortions, either the glutei maximi or the abdomen inflated like a balloon, or pectorals like hat-pegs. These distortions arrest if they do not please, and the, consciously or unconsciously, desired end is attained in the bronzes as in the drawings. In the paintings, unrelated colours tell us no more than the empty drawings do. I should regret that Marquet, a real painter, allows his work to be compromised by such company, if it were not that nothing can compromise beauty. His Notre Dame stands out clearly as serious painting by a born colourist. Valotton we know and respect, and I am not sure that Laprade is not a sketcher of talent like our Brabazon. 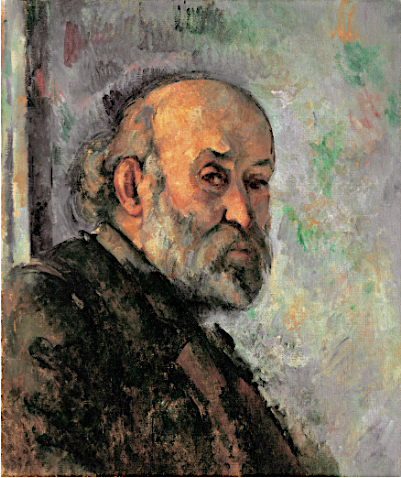 I NOTICE THAT when an English writer is faced with a question about Cézanne, he waves the inquirer gracefully forward to another department, and begs Monsieur Maurice Denis to serve the gentleman. Mr. Fry even, called upon for explanations, clears his throat and—translates Maurice Denis, admirably, I need not say, quite admirably. Before discussing Cézanne it seems to me convenient to lay down for reference the law as to deformation or distortion. I have never found this done by any writer on art—I should be grateful if anyone who has would forward me a note on the subject. Not only have I not found it done well, I cannot find that it has been done at all; and yet it is of the highest importance. A right understanding of this law must govern all critical consideration of painting or sculpture, and what is still more important, must affect teaching, for good, or for most nonsensical ill.
Deformation or distortion in drawing is a necessary quality in hand-made art. Not only is this deformation or distortion not a defect. It is one of the sources of pleasure and interest. But it is so on one condition: that it result from the effort for accuracy of an accomplished hand, and the inevitable degree of human error in the result. The departures from the geometrical forms intended in an Eastern carpet are not intentional. The design is strictly adhered to, but instead of being dead, as are machine-made designs, it may be said to breathe. It may be said to have the variation of individual gesture that a regiment standing at ease displays. The ranks remain unbroken in their frame. Cézanne was fated, as his passion was immense, to be immensely overrated. 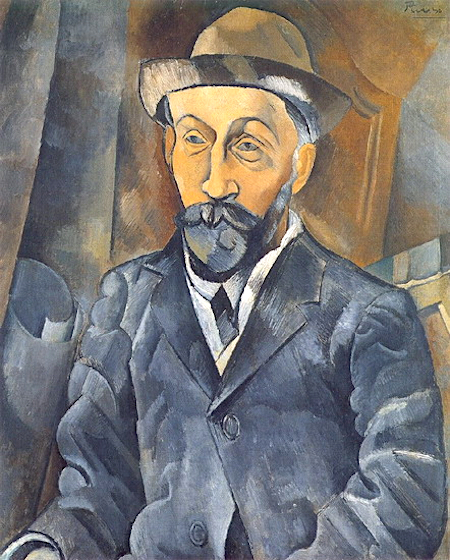 Cézanne was fated, as his passion was immense, to be immensely overrated. Two causes, I suspect, have been at work in the reputation his work now enjoys. I mean two causes, after all acknowledgment made of a certain greatness in his talent. The moral weight of his single-hearted and unceasing effort, of his sublime love for his art, has made itself felt. In some mysterious way, indeed, this gigantic sincerity impresses, and holds even those who have not the slightest knowledge of what he achieved, or of where he failed. Then we must remember that, if dealers cannot easily impose on the world as fine work, work which has not some qualities, dealers, and those critics who directly or indirectly depend on them, can to a great extent hold back or unleash a boom to suit themselves. In Cézanne there were all the conditions most ideal for the practice of great “operations,” as they are called in Paris by the able “brewers of affairs” who control the winds from their caves full of paintings. Claude Monet’s too-much-advertised [series] reduced one of the theories of Impressionism, if not to the absurd, at least to the banal. For the exaggerated homage of a cénacle to a given master we have to look to other reasons. The Frenchman is nothing if not thoroughgoing, if not entier. A reaction throws a group of students as a protest from one set of errors into the arms of another. Claude Monet’s too-much-advertised haystack series, Rouen cathedral series, and pond and water-lily series, reduced one of the theories of Impressionism, if not to the absurd, at least to the banal. Heard through the megaphones of the Rue Laffitte and the Press, the theory took on something of the patter of a syndicate. Monet was not the first to discover that, as the sun declines, new arrangements of light and shade arise. Older masters than he knew this as well as he did. But they also knew that, of the possible arrangements of light and shade on an object, one arrangement brings out the form and character, reveals the essential soul of the object, more than another. It seems to me that Monet’s demonstrations required, for their full utility, that the series should be kept together and hung in sequence. If you come, as you do at the Rouen museum, upon an isolated canvas of the cathedral series (framed, by the way, in a terrible chocolate-coloured frame), the very limited information it gives as to colour is not sufficient to compensate for the vagueness of form in a subject which cries aloud for drawing above all things. Turn, at Rouen, from this to the exquisite early Sisley, with a long, low building standing by an inundated road, and we get the pure painter’s poetry of Impressionism, before the cult had become Americanised. The notoriety of these series had one effect. They were supposed to epitomise the impressionist doctrine. The part was taken for the whole. 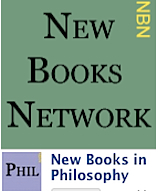 Two persistent errors may now be found in nearly all writers on the Impressionists. The first, that Impressionism was limited to effects of colour, and implied the absence of composition or pattern in a design. The second, that Impressionist pictures were all painted on the spot, or, as people say, “from nature.” I am here using the word Impressionist, which I detest, exactly in the same precise and strictly limited sense as I would use the phrase “member of Boodle’s.” “Comme nous avons mal fait de nous laisser appeler Impressionistes,” everyone has heard Degas say. But the harm is done, and a critic writing in 1910 cannot but use the term. Pissarro, whose intrinsic and relative importance is not yet at all understood, even in France, executed many works in the studio, composed from studies in pencil or pastel or gouache. His etchings and his tempera paintings were done in the same way. The bulk of the work of Degas is founded, like the work of the old masters, on drawings. IT IS ABSURD to call Cézanne a Post-Impressionist, embedded as he was in the Impressionist movement. Influenced at first by Delacroix, Daumier, and Courbet, he was drawn into the Impressionist group by his sympathies. In number 16 we can still see the influence of Daumier. In number 48, of the Grafton exhibition,2 we can see some traces of painting with the knife, the legacy of Courbet. Indeed, at one time Cézanne had some enormous palette knives made to order, so as to cover large spaces of canvas with paint. It is impossible to disentangle influence and counter-influence in the work of a group so closely connected as were the Impressionists. They spoke one language. They modified it daily in replies, and echoes, and quotations, tossed forwards and backwards in the heat of their eloquence. A fluid style was modified by daily and passionate reference to, and inspiration from, nature. If Pissarro influenced Cézanne, certain canvases of Pissarro, certain preferences of Pissarro, would not have existed except for his association with Cézanne. Is not Gauguin’s art distilled from essences gathered shrewdly in the gardens of Degas, or Cézanne, and of Pissarro? 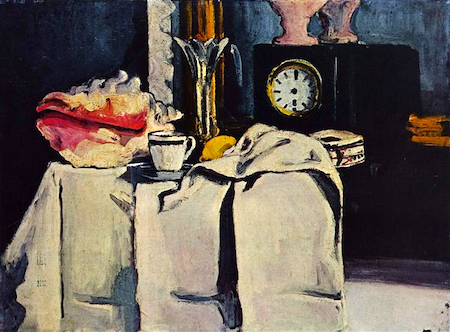 Of masterpieces by Cézanne, I recall a black marble clock in the Salon d’Automne, a still-life of fruit at the New Gallery some years ago, that made its pendent by Money look thin. The landscape numbered eight at the Grafton is a marvel of tones in mother-of-pearl. The delicate but abrupt transitions lead the eye down to the shore and away round the magic bay without trompe l’æil. It is the painter who wields the bâton. It is he who conducts, and compels us to accept the time and the rhythm he chooses to impose. That same summer I had speech, in a street in Dieppe, of a sturdy man with a black moustache and a bowler, who was destined to carry out the master’s advice to some effect. My friend, Horace Mélicourt asked me to come and see a comrade of his, no longer a youth, who was thinking of throwing up a good berth in some administration in order to give himself up entirely to the practice of painting. I am ashamed to say that the sketch I saw him doing left no very distinct impression on me, and that I expressed the opinion that the step he contemplated was rather imprudent than otherwise. I lived to be the obscure person who saw, collected at the Salon d’Automne, three or four years ago, a posthumous collection of the work of the man in the bowler, and his name was Gauguin. 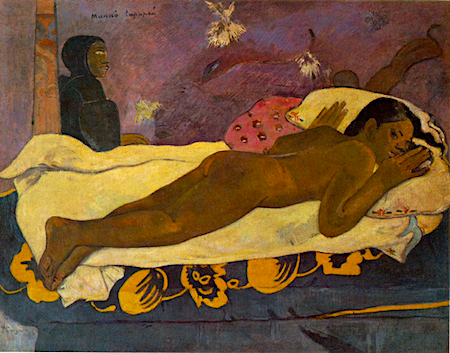 A STRANGE GRANDEUR has crept into Gauguin’s figures, a grandeur that recalls Michaelangelo. Look at the poise of the figure holding a dish behind the little nun in the picture numbered 40. It will be a crime if number 42, L’esprit veille, or number 83, Les laveuses, or both, are not acquired for the nation. Here is National Gallery quality at its highest level. Was ever painted figure more sculpturesque than the awe-stricken Vahina prone on the couch, not daring to move in the haunted room? Has paint ever expressed perfect form more surely and with more fulness? Look at the muscle of the right forearm, and at the perfect hands laid out, plump and élancé at the same time. What an atmosphere of forest is created in Les laveuses! And with what sober means! Here is no war with the medium, no exasperation, no rebellion. The paint obeys the inspiration with the suavity of a mastered thing. All the old weapons of the old masters are here. Gauguin disdains to use none of them, while he enriches them with a modern vision. Cunningly chosen and expressive silhouette is here. Learned chiaroscuro is here, no longer as in the later old masters in shades of brown, but again, as in the primitives, in the subtlest harmonies of lovely colour. And all these the painter accomplishes without distress, without raising his voice, without loading or embroiling his paint. This picture is sonorous because it is not shrill. The tones are brilliant because they are never colourless. Degas once said to me, “If you want to sell your pictures nowadays, you must paddle in flake white,” “pantauger dans le blanc d’argent.” Look at the figure in blue looking off on the prompt side of the picture, and holding a basket. Is not all freshness, all youth, all innocence, and all woodland poetry expressed in that one figure? The proper study of mankind is man; and no country can have a great school of painting when the unfortunate artist is confined by a puritan standard to the choice between the noble site as displayed in the picture-postcard, or the quite nice young person, in what Henry James has called a wilderness of chintz. I have always disliked Van Gogh’s execution most cordially. But that implies a mere personal preference for which I claim no hearing. I execrate his treatment of the instrument I love, these strips of metallic paint that catch the light like so many dyed straws; and when those strips make convolutions that follow the form of ploughed furrows in a field, my teeth are set on edge. But he said what he had to say with fury and sincerity, and he was a colourist. Les Aliscamps is undeniably a great picture, and the landscape of rain does really rain with furia. Blonde dashes of water at an angle of 45 from right to let, and suddenly, across these, a black squirt. The discomfort, the misery, the hopelessness of rain are there. Such intensity is perhaps madness, but the result is interesting and stimulating. This exhibition, a very frittura mista, opens up more questions than can be even touched upon in an article. This exhibition, a very frittura mista, opens up more questions than can be even touched upon in an article. I have no space to speak of Girieud, who inspires interest; of Puy, a real painter, a true colourist. Maurice Denis is altogether too large a question to be disposed of summarily. It would be necessary to make a study of Puvis de Chavannes, which would carry us too far afield. I must reserve there things for another occasion. As we have been considering the Impressionists, it may be well to remind ourselves that Puvis de Chavannes would not have been at all what he was but for the enormous influence that the Impressionist movement had on him. As it would be impossible to establish any logical thread running through the exhibition at the Grafton, any complaints as to absentees would be beside the point. Why Manet? Why skip the other Impressionists? Since “post” is the Latin for “after,” where are Vuillard and Bonnard? Where is Albert André? We must always remember that, if the innocent and none too discriminating enthusiasm of an English committee proposes exhibitions of this kind, it is the French dealer and the state of his stock which disposes. But not all the remainder biscuit of Manet’s great studio can induce us to swallow Matisse as next-of-kin. Walter Sickert (1860-1942) was a British painter, a celebrated member of the Camden Town Group. 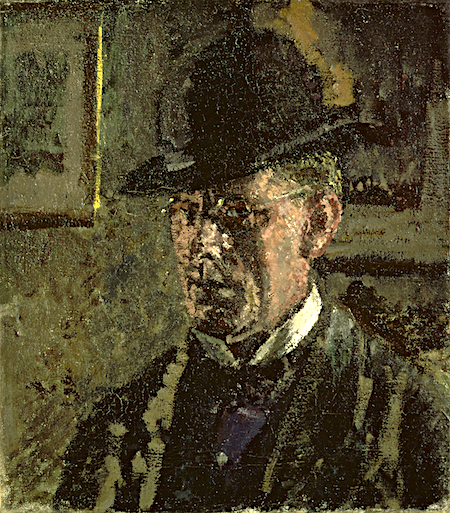 Twenty years before the Post-Impresssionist exhibition, Roger Fry attended Sickert’s evening classes at The Vale, in Chelsea. 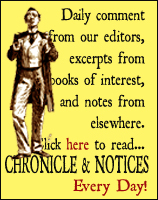 This essay originally appeared in The Fortnightly Review, January 2, 1911. It has been manually transcribed for the New Series. This transcription © 2017 The Fortnightly Review. See also Roger Fry, “Post-Impressionism” and Manin Young’s essay on the exhibition, “Roger Fry, Walter Sickert and Post-Impressionism at the Grafton Galleries“, both in the New Series. Publication: Sunday, 29 October 2017, at 18:12.